It’s Pepper Season! As summer progresses colorful bell peppers are now grown in the US and are more reasonably priced. 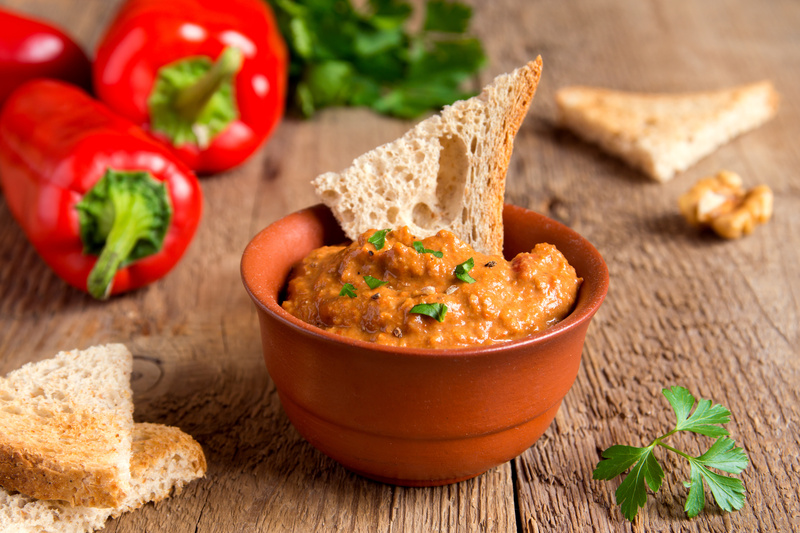 Serve this tangy Roasted Red Bell Pepper Hummus recipe with toasted pita bread or on your favorite veggie burger. It is sure to become a new favorite topping. 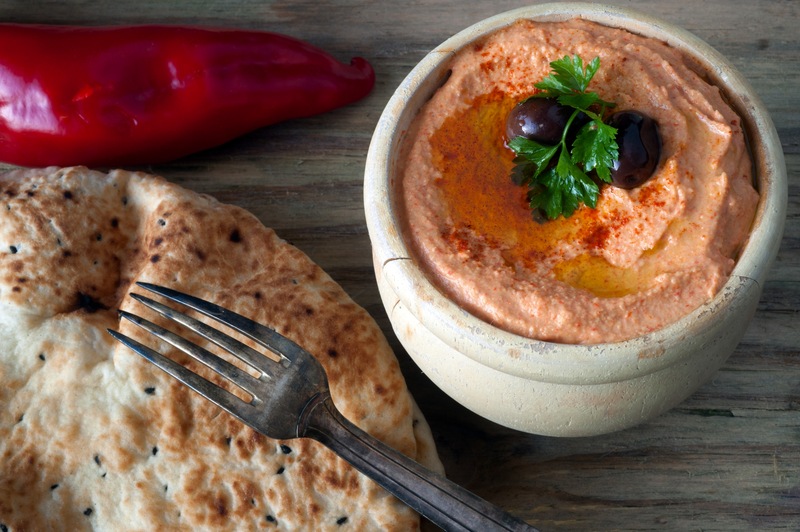 Mix all ingredients, except olive oil, in food processor until pureed. Slowly add olive oil to finish. Let stand for 1 hour prior to serving.